The 'Classic Rock'-endorsed High Voltage Festival is back for its second year and has so far bagged Dream Theater and Judas Priest to headline. 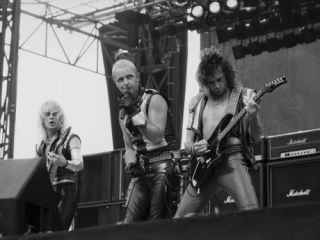 Set to take place on 23 and 24 July in Victoria Park, London, High Voltage will mark Judas Priest's last ever UK festival show - 31 years after their debut festival performance at the first ever Monsters Of Rock in Donington. The event also marks a significant milestone for Dream Theater fans, as it will be the band's first UK show without drummer and founding member Mike Portnoy, who's currently handling stick duties for Avenged Sevenfold. Head to www.highvoltagefestival.com to buy tickets and keep an eye on TG for more festival news.